Team17 will be rolling out a patch for My Time At Portia to address the seemingly slow loading time on the Switch version. On Twitter, the official My Time At Portia PR account announced that a Day-1 Patch will be available exactly at launch. 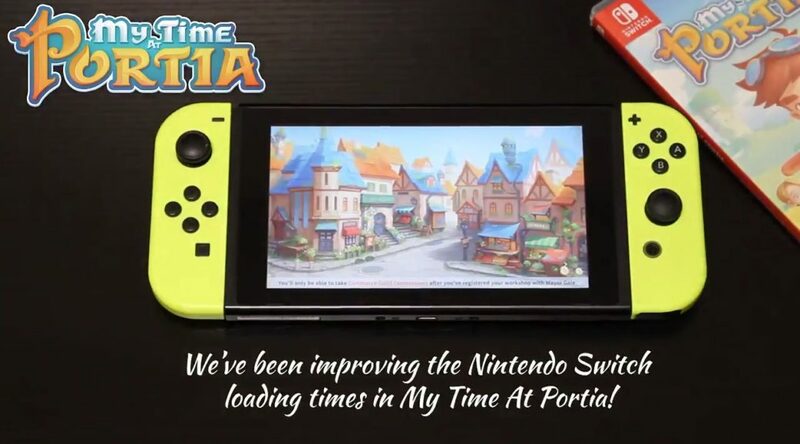 This update will apparently improve the game’s loading times on Switch. My Time At Portia, a life-simulation crafting RPG, is slated for release on April 16 worldwide, in both digital and retail formats. However, US and Canada will have to wait until May 14 as a manufacturing delay caused the physical version’s release be pushed back by about a month.